The wife of the Edo state Governor, Mrs. Betsy Obaseki on Friday fetes Edo women with a charge to them to rise up and take their rightful position in the affairs of the nation in general and state in particular. Mrs Obaseki gave the charge at Christmas and end of year party organized for Edo women by the state Government, Office of the Wife of the Governor. 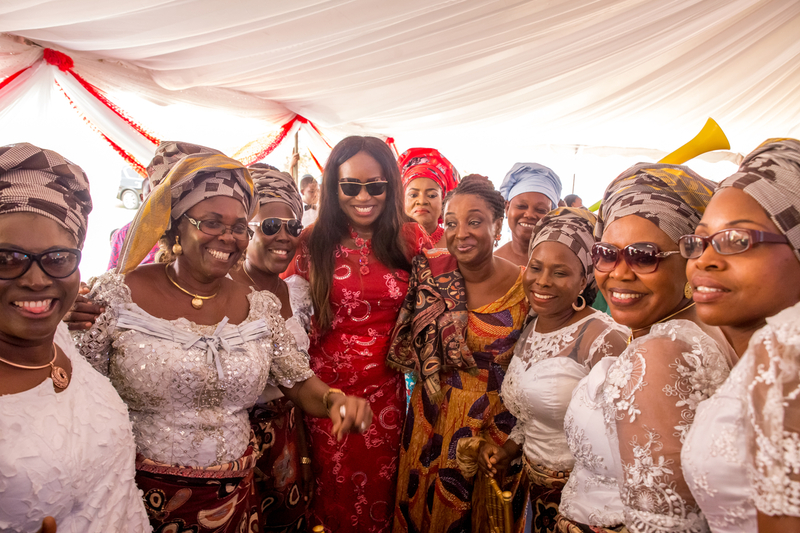 The first lady said that she was optimistic that a woman could become a Governor of the state only if they showed love, eschewed pettiness, fighting and quarreling among themselves. Appreciating the women for their support which guaranteed the victory for her husband at the Sept.28, Governorship election, she said women remained a formidable and active political vocal voices in the state. The wife of the Governor said that in view of this, the Governor had directed party leaders across ward, local government and state level to ensure that out of every three leaders one must be a woman. She disclosed that the present administration therefore open to all not just APC members as the office of the Governor and Wife of Governor was for Edo people. According to her “We are in office to look after everyone. We feel special to be called God’s children, because God is interested in us. “God has chosen to visit Edo. It is time for governance and time to do what God has chosen us to do”. She stressed that the present administration would build on the foundation of the previous administration and gave an assurance that Edo would become the new Lagos state. Mrs Obaseki also noted that the present hardship in the country was not peculiar to Nigeria alone, but noted that it was time citizens began to do self-appraisal. She emphasized that humans become ingenuous in adversity. She however, expressed optimism that the state would be the first state to experience economic recovery from the present hardship and recession in the country.